Please Check In, say it with a sign - An ideal sign for lobbies and front counters. A directional check in check out sign. 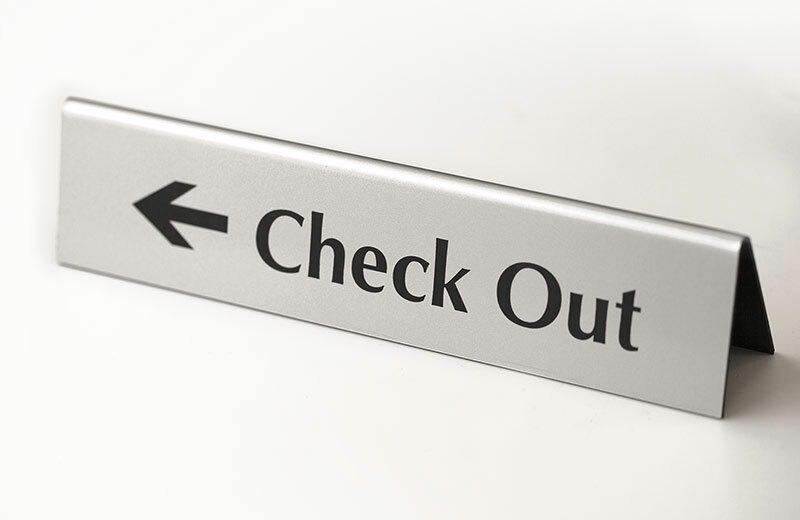 At 1/16" thick, double-sided counter tent signs are a professional, easy solution for medical facilities, restaurants and retail store signs. 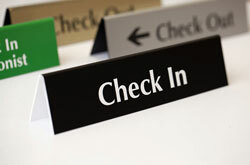 Custom check out sign and reception room signs are laser engraved for crisp, clean text. 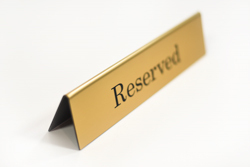 Customize one or both sides with any information you need. 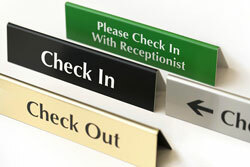 Create a custom check out here sign or a please check in sign and choose from a variety of color options. If you require a custom size, contact our customer service team at service@officesigncompany.com or via phone at (701) 526-3835. 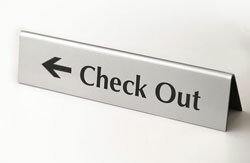 Checkout Signs or Check Out Signs, no matter how you say it, we can make it. 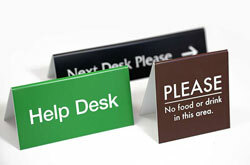 Custom office signs & Wayfinding signs, Made In the USA. 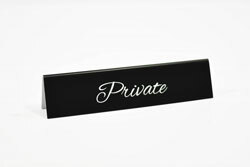 If you chose to include custom text above, personalize one side of your sign here - use (/) marks to indicate line breaks. 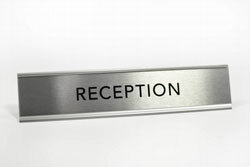 Enter "BLANK" if you do not require text. 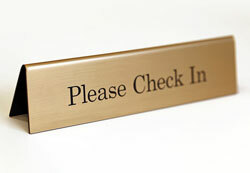 If adding text to the back of your sign, please make sure you've selected "Yes" to the question above and include that text here. 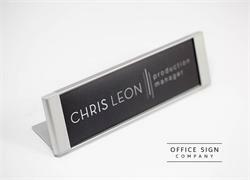 2x10 satin silver desktop and counter reception sign with architectural grade metal frame with brushed silver aluminum plate. 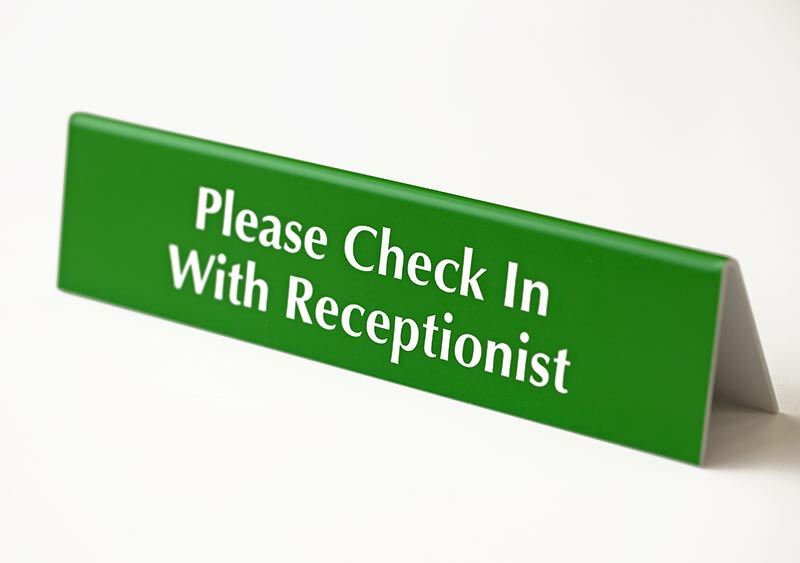 Place these signs on the desk in the lobby of your medical facility, dental office or waiting room.